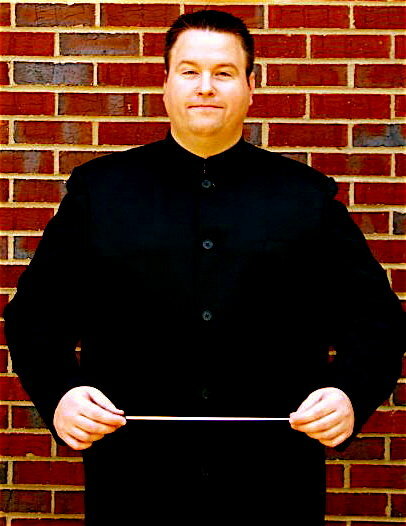 Dr. Patrick K. Carney serves as the Director of Bands and Associate Professor of Music Education at Limestone College in Gaffney, South Carolina. As Director of Bands, he is the director of the Wind Ensemble, The Limestone Marching Saints, and various chamber ensembles. He teaches instrumental conducting and the music education curriculum for all music education majors. An active guest conductor, clinician, and adjudicator, Dr. Carney has served in these capacities throughout the United States and Southeast Asia. He has conducted wind bands nationally in California, Florida, Georgia, Montana, New York, Ohio, Oregon, South Carolina, and Virginia; and internationally in Singapore, Thailand, and Vietnam. He has over 15 years of university experience, with both athletic and wind bands, at Florida State, Syracuse, Charleston Southern, Oregon, Montana State, Clayton State, Claflin University, and Limestone College. Dr. Carney has directed and administered athletic bands at Atlantic Coast, Big East, Big Sky, Big South, Conference Carolinas, PAC-10, Peach Belt and SIAC conference and tournament events including the Holiday, Orange, Sugar, and Fiesta Bowls. His publications have appeared in Research Perspectives in Music Education, Florida Music Director, The Instrumentalist, and the Missouri Journal of Research in Music Education. Dr. Carney has presented research efforts at conferences for College Band Directors National Association (CBDNA), National Band Association (NBA), National Association of Music Educators (NAfME), the Florida Music Educators Association (FMEA) and the Georgia Music Educators Association (GMEA). Dr. Carney is an active member of CBDNA and NAfME including the South Carolina Music Educators Association (SCMEA), the Florida Music Educators Association (FMEA) and the SC Band Directors Association (SCBDA). He has served as State Chair (Montana) for the National Association of Bands. He has served as Co-Governor of the Western and Midwest Districts of Kappa Kappa Psi. He is an honorary of Kappa Kappa Psi and Tau Beta Sigma, and a member of Phi Mu Alpha Sinfonia. Dr. Carney has earned a Bachelor of Music and Master of Music Theory from The Florida State University, a Master of Music Education from Syracuse University, and a Ph.D. in Music Education from The Florida State University. He is a native of Winter Haven, Florida where his parents still reside. He currently lives in Gaffney, SC with his beautiful wife, Jennifer, and daughter, Emma. Active member of CBDNA and NAfME including the South Carolina Music Educators Association (SCMEA), the Florida Music Educators Association (FMEA) and the SC Band Directors Association (SCBDA).